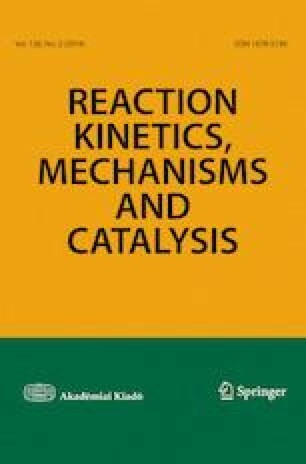 The first 19 articles in this issue are based on research that was presented at the 1st International Conference on Reaction Kinetics, Mechanisms and Catalysis between 6 and 9 June 2018 in Budapest. It is no accident that the conference bears the same name as the present scientific journal: the Publisher organized this meeting in the hope of establishing a series of conferences, probably once in every 2 years, to create an opportunity for the regular authors, reviewers and readers of Reaction Kinetics, Mechanisms and Catalysis to interact personally. The first edition attracted more than 100 participants from 27 countries. The first lecture in this planned series was delivered by Susannah Scott the University of California at Santa Barbara, who also serves on the editorial board of the journal. Additional plenary lecturers were Jiří Čejka (Heyrovský Institute of Physical Chemistry, Czech Republic), Leonarda Francesca Liotta (Italian National Research Council, Institute of Nanostructured Materials), and Rafael Luque (University of Cordoba, Spain). The meeting was characterized by an open, friendly and relaxed atmosphere, a tradition that we very much hope to continue in future events. I would like to ask all readers to mark the early summer of 2020 as the time of 2nd International Conference on Reaction Kinetics, Mechanisms and Catalysis.